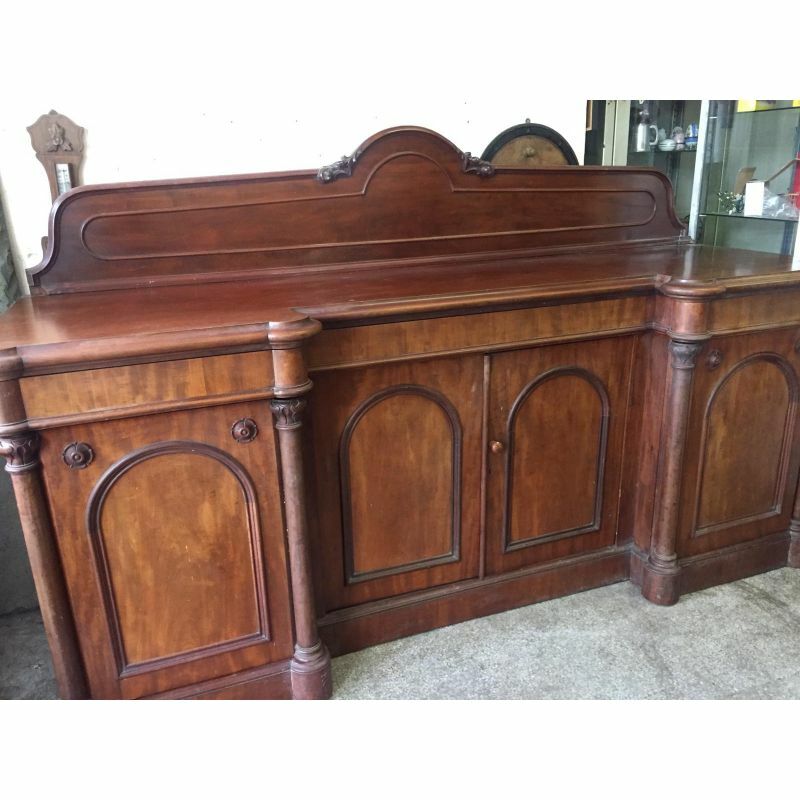 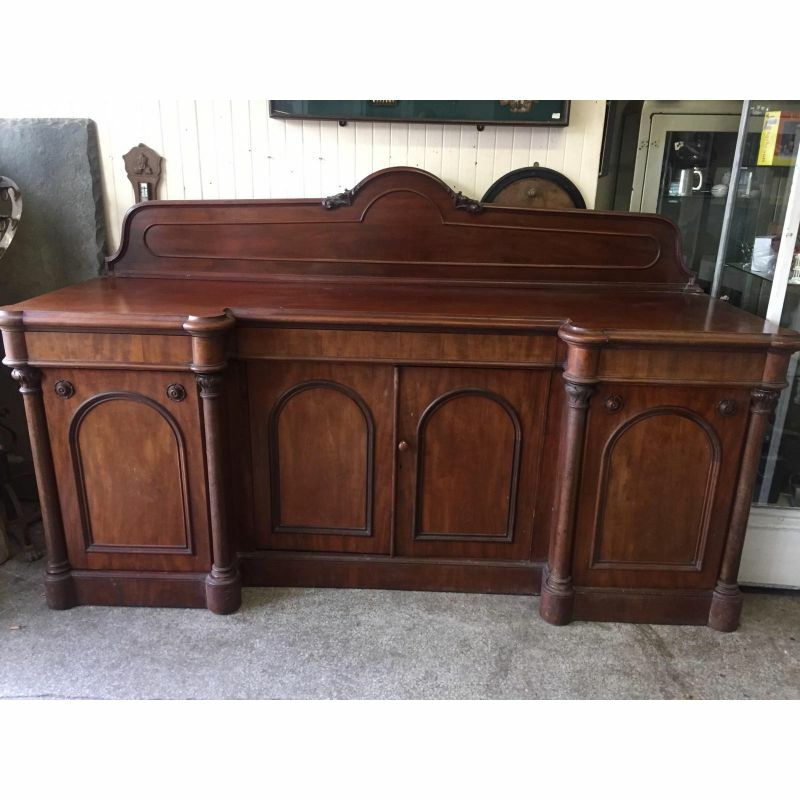 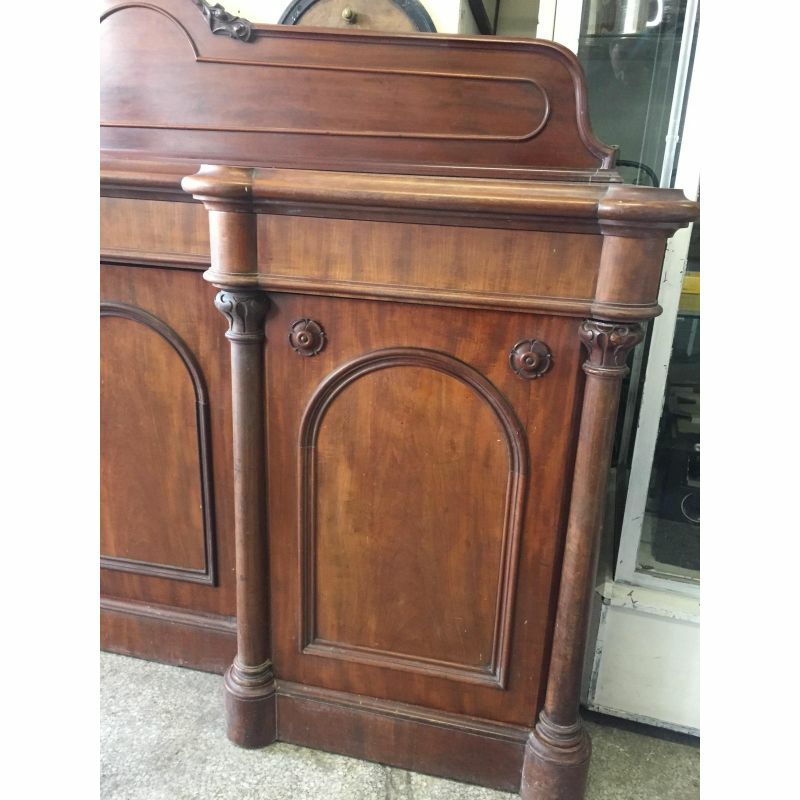 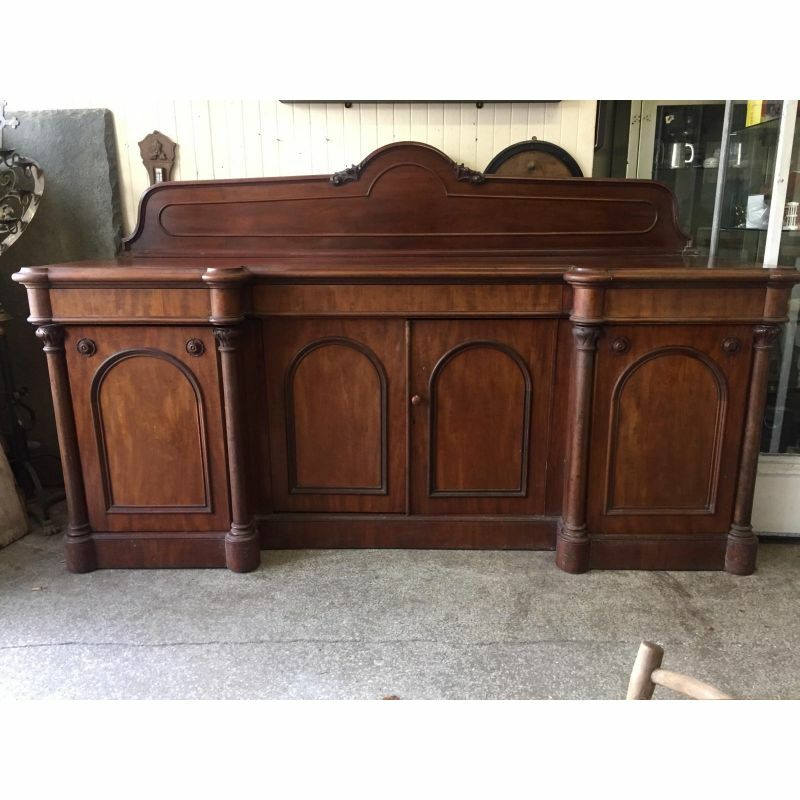 Excellent quality antique sideboard (Circa 1880). 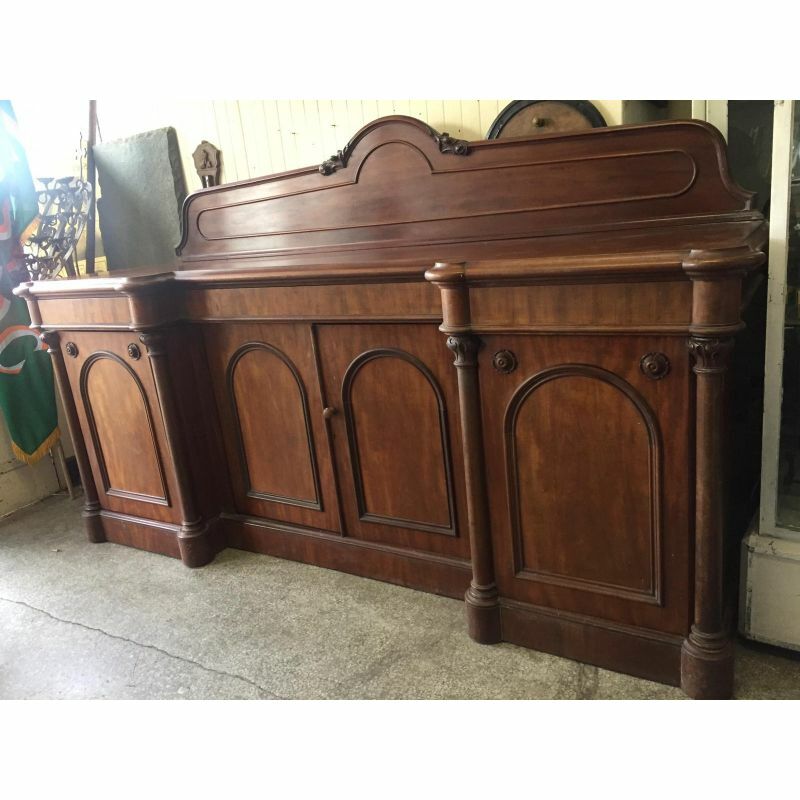 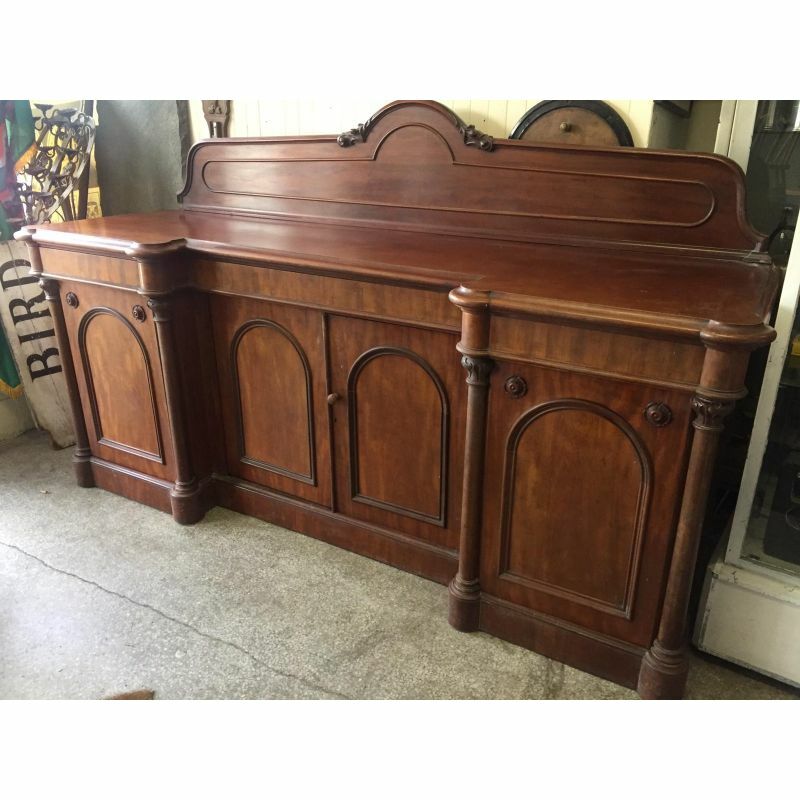 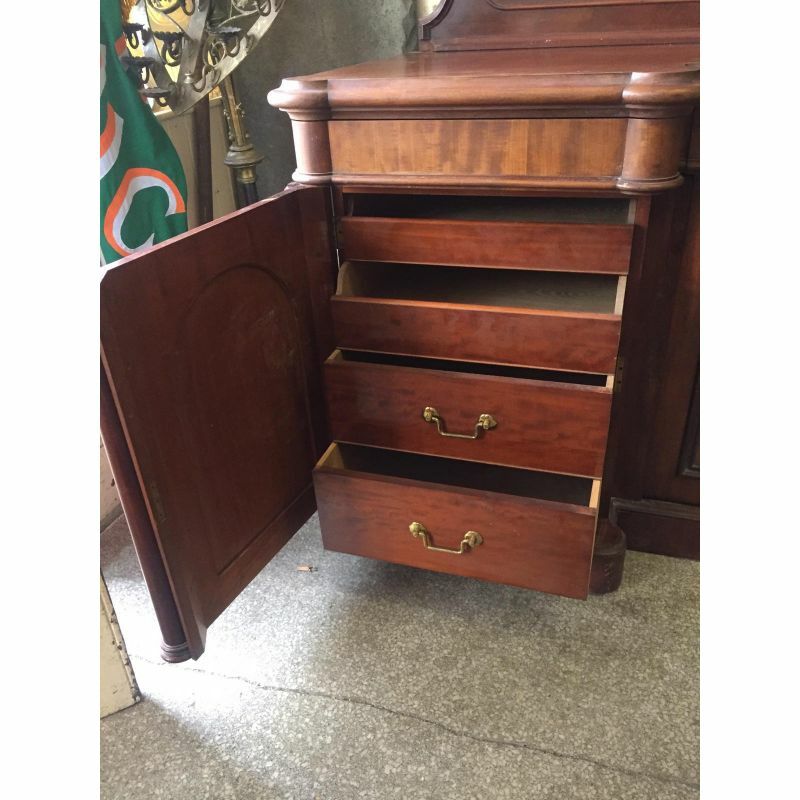 Nice condition mahogany piece; recessed central cupboard flanked with two arched cupboards with internal drawers. 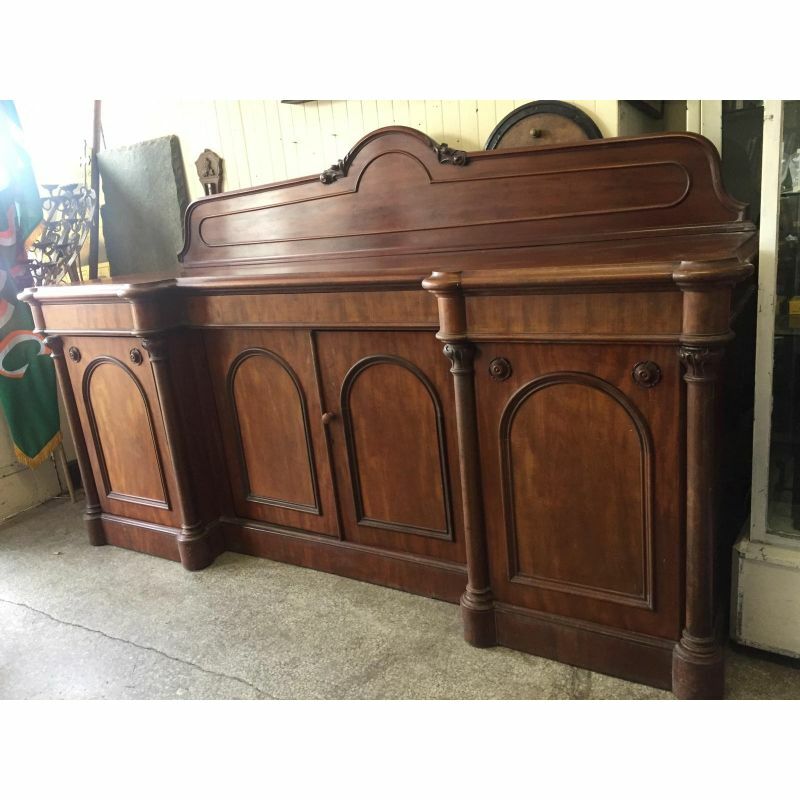 Measures; 2280 mm wide x 730 mm deep x 1280 mm high (overall)- counter height 990 mm.